Trustees of specific defined contribution (DC) occupational pension schemes, have to meet requirements on governance standards, charge controls and communications on pension flexibilities. ReAssure has two trustee boards, which you can read about below. ReAssure Trustees Limited comprises of five directors, most of whom (including the Chair) are independent. They act solely in the interests of members, with any potential conflicts of interest considered in accordance with the Conflict of Interest policy, to ensure they can act independently of ReAssure. The ReAssure Number Three Executive Pension plan (with effect from 27 March 2018). Paul has worked in Management and Executive positions within the Operations (Customer Services and Information Technology) Division of ReAssure for the past 30 years. During that time he has contributed towards the implementation of the key business administration and system strategies of the Company and played a key operational role in all Business Acquisitions and Migrations. Within Business Solutions, the focus is to guide the development of future strategies, systems and processes to support growth within the business and provide strong Customer outcomes. Paul has a Bachelor’s degree in Economics and Accountancy from the University of Southampton. 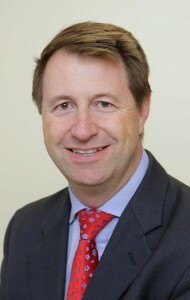 Mike Woodcock is the UK Chief Financial Officer of ReAssure. He joined the company on 30 July 2012. Mike is a CIMA-qualified accountant, with over 26-years’ experience in the financial services industry. His past experience includes financial consolidation, external/financial reporting, management accounting, business partnering, mergers and sales. He was previously with Aviva plc holding a variety of senior roles, most recently Group Consolidation and Reporting Director responsible for leading the Financial Consolidation and Reporting Services team for the plc Group. 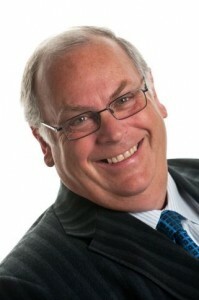 Mike has also held senior finance roles in India, Europe and the UK. Providers of workplace personal pension schemes are required to appoint an independent body to ensure governance of their schemes, providing members with greater protection. It acts solely in the interests of scheme members, operating independently to assess, and where necessary, challenge firms on the administration and value for money of the scheme for its members. ReAssure established an Independent Governance Committee (IGC) to ensure this was addressed. Assess the value for money of ReAssure workplace personal pensions on an ongoing basis. Review the design and execution of investment strategy. Consider whether costs and charges are appropriate for the scheme and its investments. Ensure appropriate assessment of the quality of service and governance standards. Raise and escalate any concerns to the firm’s board in the first instance, and ultimately our regulator, the Financial Conduct Authority (FCA), if it’s felt they have not responded to a particular concern. The ReAssure IGC represents scheme members’ interests and members can contact them directly to share their views. If you have any individual servicing queries or complaints you should raise these in the normal way. Each year an Annual Report will be published on this page detailing their work over the previous twelve months. Zahir Fazal is a Chartered Accountant and a Director of BESTrustees plc. His current appointments cover a wide range of pension schemes and diverse industry sectors. He has several appointments as Chair of Trustees. Zahir takes a particular interest in governance and investment issues. Zahir is also experienced in negotiating with employers on funding and other issues and with his background is quick to understand and appreciate a company’s financial position and corporate objectives. Prior to joining BESTrustees in June 2008, Zahir was a partner in a major accountancy practice, where he established their highly successful Pensions Group. A Fellow of the Institute of Chartered Accountants, he is currently Chairman of the Institute’s Pensions Sub-Committee and immediate past Chairman of the Pensions Research Accountants Group where he remains on the Board. In these capacities he has regular contact with the DWP and the Pensions Regulator on regulatory developments. Giles has over 25 years' experience in pensions, having worked for consultancies, an insurance company, an asset manager and now as an Independent Trustee. Giles chairs 5 schemes and works with another four Investment Sub-committees. Before joining HR Trustees, he worked for 10 years for Legal & General Investment Management as a client manager, looking after a range of schemes, covering various investment mandates including both defined benefits and defined contribution. He was involved in the design and implementation of strategies including liability driven investment solutions and multiple managers. Before moving into investment management, Giles gained experience within pensions including administration, legal documentation, technical training and consultancy covering both defined benefit and defined contribution arrangements. Venetia is an experienced professional trustee, with a broad portfolio of pension schemes ranging in asset size from £100m to £6bn, and covering occupational defined benefit, hybrid and defined contribution schemes. She also works with a master trust and two independent governance committees overseeing workplace personal pensions. Simon joined the company in 2006 with the acquisition of the GE Life group of companies, and was appointed Actuarial Function Holder of ReAssure in 2010.